Taravani annam is also known as Chaddhi Annam or Saddhi Annam or Panti Bhat or Pakhala Bhat in various regions of India. It is basically fermented rice taken as breakfast typically by the farmers in olden days. As the modern day science evolved, this traditional breakfast has been forgotten. Recently, the health benefits of having fermented rice as breakfast has resurfaced and is gaining popularity among the urban population. During our growing up years, it was a norm to eat pickle rice and curd rice with the leftover rice at our maternal grand parent's place. The rice was never soaked in water. But according to some articles on the web, soaking in water initiates fermentation which is supposed to be beneficial. *According to research, the fermented rice has 60% fewer calories than the freshly cooked rice. It keeps the body cool and energetic. It keeps you full for a longer period. It is supposed to have high levels of B12 and 20 times higher iron, potassium and calcium. *Disclaimer - I have not come across any substantial proof of research. Soak the leftover rice in about 7-8 cups of water in an earthen pot. In the absence of an earthen pot, use ceramic pot. Cover and leave it in a warm spot overnight for the rice to be fermented. After about 10-12 hours, drain all the water and leave it the colander for a few minutes. The fermented rice is ready for consumption. There are three ways to eat this fermented rice. 1. Just mix in a little salt, chopped green chilies and chopped onion and eat as is. In a bowl mix the fermented rice with yogurt and milk. Add salt as needed. Add ginger and green chilies if using. Mix well. Prepare the seasoning by heating oil and adding all the seasoning ingredients. After the mustard seeds crackle and the dals are brown, transfer the seasoning into the curd rice. Mix well and enjoy. In a bowl add the fermented rice and mix any pickle of your choice and enjoy. Even i too have read about the benefits of fermented rice in recent time and also heard from elders in the family. Kudos to you for sharing this recipe !!! Surely it's one healthy breakfast recipe !!! Most of time I watched this recipe on cookery show... your dish makes me hungry.. awesome click..bookmarked. Yes, I too read about this and both MIL and mom vouch for this. Never tried pickle rice with this though. It must have tasted awesome! I haven’t done much survey on this but fermented rice sounds interesting . I have made Pakhalaw Bhat and had loved it . The pickled rice also sounds very interesting . wow this is a perfect food and easily digestible recipe, Sure this has some amazing health benefits.. In tamil they call it palaya soru had with green chillies and raw shallots on side .. Yumm my mouth is watering !! The pickles in the fermented rice looks so irresistible... This is such a comforting food .. Honestly, we are now reviving those good old great recipes that are forgotten. I know we don't have sufficient proof to back it up but weren't they healthy? Love this fermented rice especially the curd rice. We usually have it with raw shallots. How i love give a try to this fermented rice with pickle mix, usually i wont mix the pickle with this fermented rice, i love that curd rice and i do often at home. Healthy dish. Healthy share.. Goes well with Green chilli and shallots.But in tamilnadu we usually makes it a little watery!! Love your serveware.. Very interesting to read about fermented rice Harini. Everything old is coming back and we are learning so much more about the health benefits. I am going to try this fermented rice some time soon. Thank you. I too have read the health benefits of fermented rice but never tried it. The cure rice must have tasted amazing. Such a forgotten dish this is and so beneficial as well. I remember my grandmother saying how the farmers used to eat this before leaving to farm. I have to give it a try. We used to have this for breakfast while growing up. The water in which the rice is soaked is so good and we add some curd and salt and drink it also. With pickle, this saadam is so yum. Lovely pick there, harini ! We make lemon rice or curd rice usually with overnight cooked rice. But yes the fermentation does increase the nutritional value several notches .. 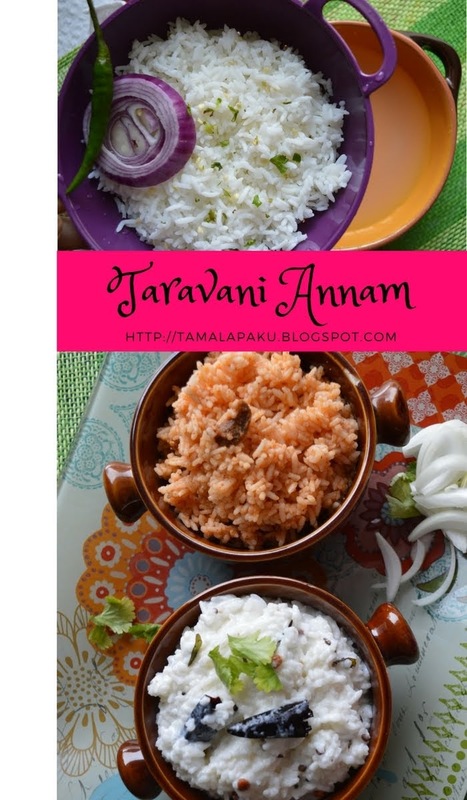 Though I have heard about this so much from my granny, I haven't tasted or made it at home..I know the health benefits so this is something we must do, love that avakaya annam too..great combination! Though I've heard about fermented rice and it been popular in India and Sri Lanka, I have never tasted it. A bit apprehensive as to how it would taste. But then I will never know till I don't try. I would love to have it with curd and onions harini! growing up this was our breakfast mostly during weekends!!!! Such a healthy and hearty dish!!! That Avakkai rice, OMG!!! i definitely need to have pickle for my lunch now!! Most of the old recipes are recycled now as we get to learn the health benefits. I knew about eating leftover rice for breakfast but didn't know that it would be fermented this way. Do the taste / smell / flavor of the rice change when you ferment the rice?